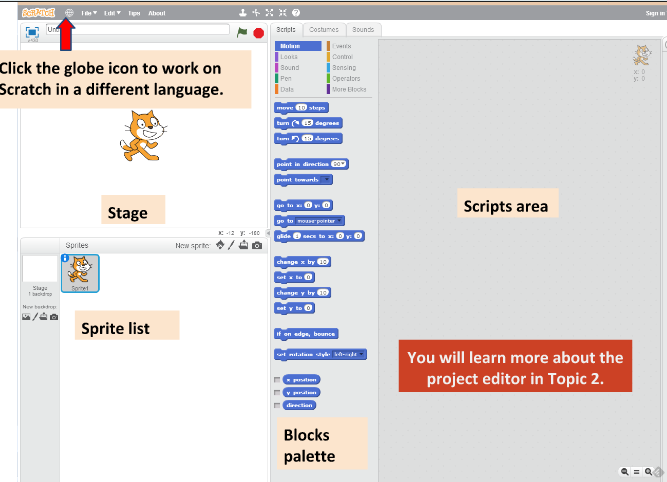 Scratch can be downloaded and installed on computers (Scratch 2 Offline Editor), or it can be used as a web tool (Scratch 2.0). My students generally use the online web tool. 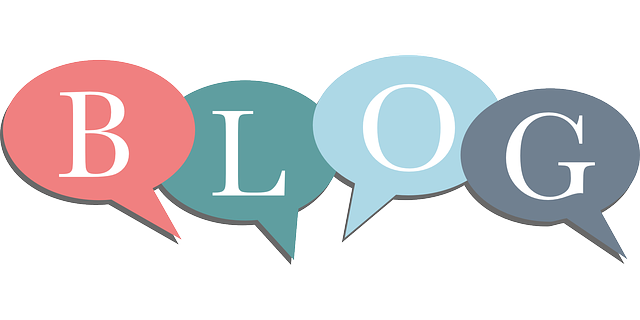 It's quick and easy to access and your files are always accessible. If internet access is a problem, you might want to use an offline editor. ScratchJr and PBS Kids ScratchJr are available for free for Android and iPad tablets. The Help Tab at the top of the screen includes a lot of useful resources. If you get stuck, take a look here first. Another area to highlight is the EXPLORE tab. 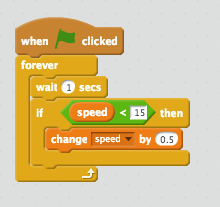 This allows you to look at what others have created on Scratch and you can view their code to examine how they made it. 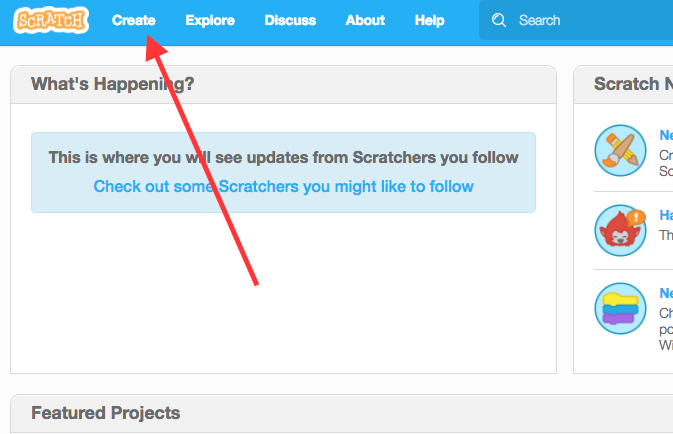 LET'S START: Use the CREATE tab at the top. To learn the basics of these different areas we're going to make a simple racing game. This task is great for teaching computational thinking and programming logic. 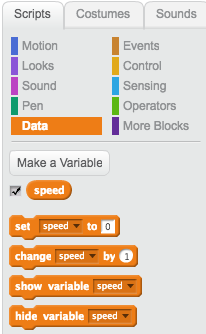 To do this we'll first go to the data section and make a variable that will control the speed of the cat. Let's set a starting value for Speed and a position for the cat. How can we get the same effect with the left arrow key? Hint: you'll need to use operator script. Next, add the same functionality for the up and down arrows. NOTE: you need to use the forever loop to make sure this works for the duration of your game. Try to get the speed to max out at 15. How can you do this? (solution). With your sprite selected, click on the COSTUME tab. You can import multiple costumes for one sprite and use them at different times during your game. Now click on the sprite to make smaller. Next, let's draw our racing track. 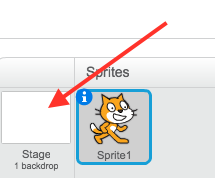 Click on the Stage background and use the line tool. 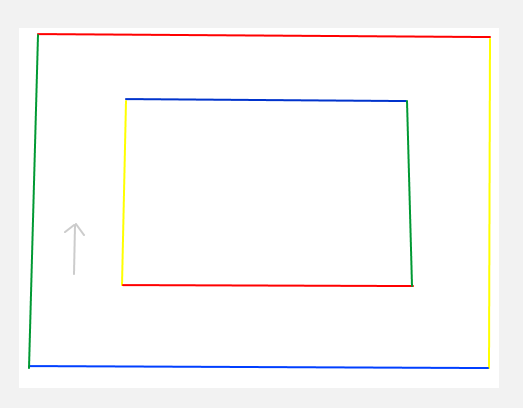 Keep it simple for now - a square will make it easy to program. However, use different color walls for each of the four types of walls (top walls = red, bottom walls = blue, left walls = green, right walls = yellow). 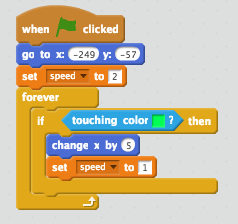 You can use the sensing script to determine if your sprite is touching a certain color. 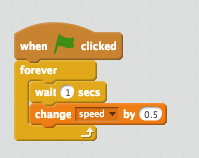 a) add a lap variable and a finish line (color orange). Each time your sprite passes this line you add to the lap variable. b) add a sprite that displays the words "Game Over" Make this sprite hidden at start of game. It will become active when you complete 3 laps. Next we'll create a program that produces random fractals, click here>>.